Note: If you do not see the above screenshot, you probably already have an SSL Certificate on the website you're using. 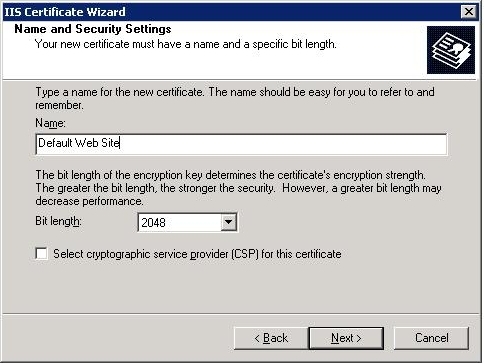 Please follow these on how to create a CSR without removing the current certificate. Enter Organization and Organization Unit, these are your company name and department respectively. Click Next. Click Next once you have entered the common name. Enter your Country, State and City, then click Next once this information is entered..